You've probably seen Grand Prix racing on TV showcasing those leather-clad racers who hug their bikes around turns, practically dragging their knees on the ground. 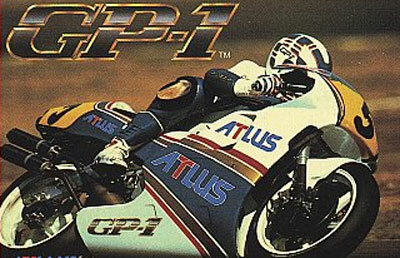 Well, now you can immerse yourself in that world with GP-1. To be a successful racer, you must invest in the best equipment and fine-tune your bike so that it runs at an optimal level. To do this, you'll have to race on 13 tracks in 12 countries in order to win some pocket money. Once you've moved up in the World Rankings and made some cash, you can upgrade your bike and even hire a mechanic whose skills match your racing style. While learning each course, you'll have to find the perfect racing line if you want to have a chance at winning. Just remember, in Grand Prix racing there's a fine line between executing the ideal turn and making a mistake that will send you flying off your bike and tumbling down the track.